This awesome, cold cast resin replica African Lion wall mount is a prefect addition to any jungle themed room. The head measures 16 inches tall, 14 1/2 inches wide and 8 inches deep. The detail is incredible, down to the hand painted eyes. 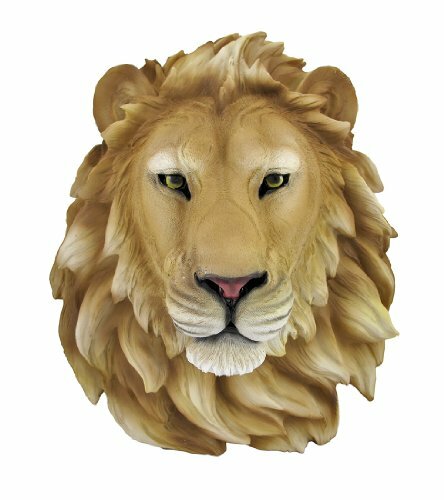 This Lion`s head is brand new, and makes a great gift for any big cat fan or people who`s Zodiac sign is Leo. 16 in. X 14 1/2 in. X 8 in.